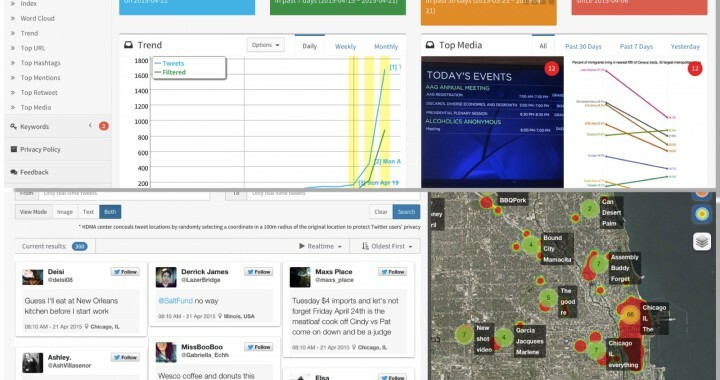 The Center for Human Dynamics in the Mobile Age (HDMA) at San Diego State University has developed two innovative social media analytics tools for the coming 2015 AAG Annual Meeting in Chicago, April 21-25, 2015. 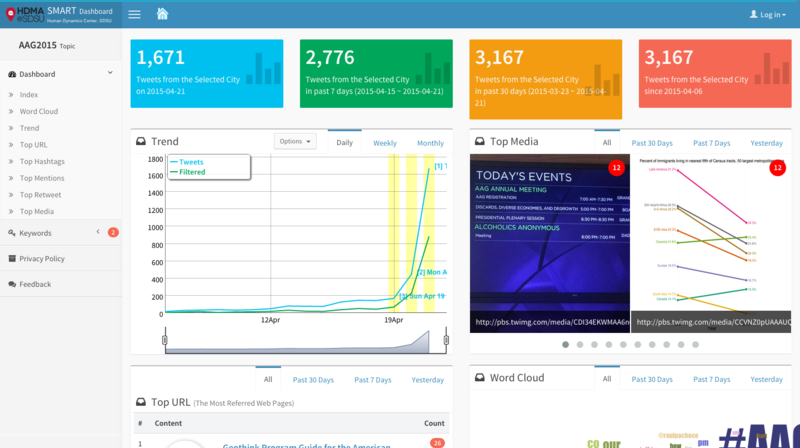 The SMART dashboard can summarize hot topics, voices, retweets, and persons related to 2015 AAG event. 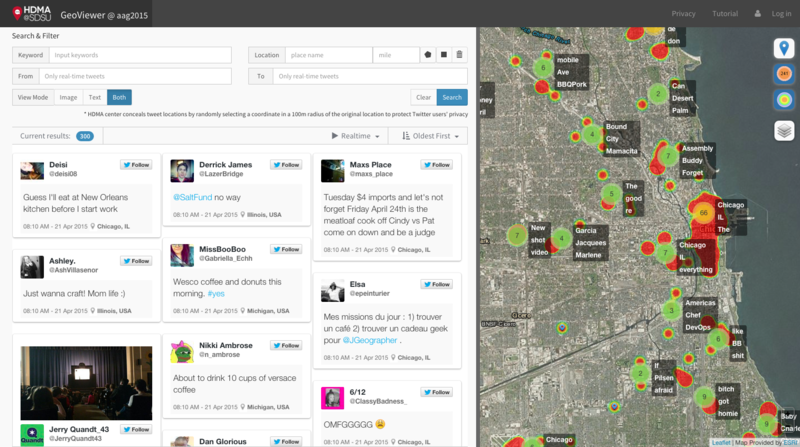 The GeoViewer can visualize the location-based social media in Chicago nearby the Conference hotel (Hyatt Regency Hotel) and what are the hot events and voices in the neighborhood. These tools are free and public accessible. Let’s use the #AAG2015 and #HDMA to provide the two cool tools developed by us! You can use our SMART dashboard to find out the most popular web stories, tweets, people, and topics during the AAG meeting. The lists are dynamics updated daily (2AM in Pacific Time) by search related keywords using the Twitter Search APIs. You can use the tools to search for GPS- tagged tweets in Chicago for specific keywords within a time frame or within a spatial polygon. The database is updated every 1 minute (Real-time) by using the Streaming APIs. Since we cannot control the contents of tweets or images from Twitter servers. Please be aware that some inappropriate pictures may be displayed in the Viewer. Users can select the display of tweets by text-only or image-only or both.